Stephen J. "Steve" Wolfe, Jr.
Obituary for Stephen J. "Steve" Wolfe, Jr.
Born October 18, 1942. Passed away at age 75 on August 18, 2018. Preceded in passing by his father, Stephen J. Wolfe, Sr., and mother, Mary Katherine Wolfe (Garrott). Survived by his sister Nancy, brother Joe (Polly), his nephew Joe Wolfe (Brigette), niece Katherine Wolfe (Chris) and four grand-nieces and one grand-nephew. He is also survived by many cousins who loved him dearly. Growing up in Dayton, Steve attended Georgia Military Academy and Greenbriar Military Academy. He graduated from Oakwood High School in 1962. Steve was an Army veteran, having done basic training at Fort Knox, Kentucky, military police training at Fort Gordon, Georgia, and complete his service in Stuttgart, Germany at Patch Barracks, 7th Army. Steve attended broadcasting school after his military service and became a disc jockey at KBAD in Carlsbad, New Mexico. 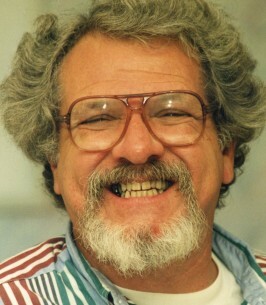 Returning to Dayton, he was employed at WAVI and WDAO. With his deep baritone voice Steve entertained his listeners for two years. Leaving broadcasting, Steve was employed by General Motors for the next 38 years. First at Frigidaire and then Chevrolet. After his retirement from GM, Steve moved to Sinking Spring, Ohio to run the family farm, then run by his mother. Steve lived out his remaining years on that farm and enjoyed being a gentleman farmer, conservationist and philanthropist. Steve will be missed by John Ault, Kevin Smith and Pam Syroney. All worked with Steve and his mother for many years. Services will be held on Saturday October 27, 2018 at 3:00 PM at the Sinking Springs Community Center. Military Rites will be provided by the Highland County Honor Guard. A reception will follow at the community building. 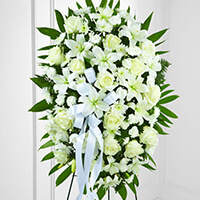 To send flowers to the family of Stephen J. "Steve" Wolfe, Jr., please visit our Heartfelt Sympathies Store. A reception will follow at the Community Building. Steve, Nancy and Joey spent much time playing with our children and lunching at our home in sinking springs. His parents were good friends of mine for many years. I helped Steve Sr hang, many doors and run lots of wiring in their farmhouse, ride their horses, etc. 1960-63 till we moved to Michigan. (long story here) I miss them a lot...God Bless.